As autumn time just started with a feeling of acceleration in so many fields – we may find ourselves challenged to find the balance between different polarities and qualities. We may experience this in our own emotional/mental state or in the reflections of the world around us. It is a good idea to take time for ourselves to stabilize and balance whenever we need it. This workshop invites you to focus on cultivating stability and calmness in different balancing postures. You will learn to support this process through guided visualizations as well as with your breathing. We start the day with an activating Yoga-flow that will challenge your whole body, then moving into a soothing, gentle flow of restorative positions, resulting in a pleasant balance of qualities. After the lunch break we will finish this workshop with a harmonizing chakra meditation. 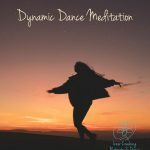 In this practice you will become consciously aware of your strong and weak points when it comes to balancing different energies and to hold your space. You will learn different grounding exercises that help you to stabilize. You can use them afterwards in your every day life.